There are some of the best time-lapse apps available on the Google Play Store which can speed up a long video. 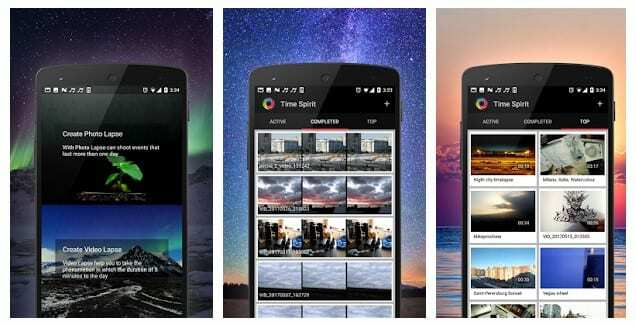 So, in this article, we have decided to share with you a list of best Time lapse apps that you can use to take remarkable time lapse with Android smartphone. If you belong from the videography section or keep great interest in recording awesome videos, then you might have come across the phrase ‘time-lapse’. Time Lapse is similar to a regular video, but it was made by speeding up a slow-motion video. Some of the great and most common examples of time-lapse are the moving clouds, sunset, plants growing, traffic, etc. However, taking time lapse is much difficult compared to slow-motion video recording. Since we rarely get a dedicated option on our smartphone camera, we have to rely upon some third party apps. There are some of the best time-lapse apps available on the Google Play Store which can speed up a long video. But, time lapse apps for Android works differently, and it’s not just speeding up a long video. Time-lapse apps for Android records short clips in intervals and stitch them together. By this way, you don’t need to worry about long videos and enormous file sizes. So, in this article, we have decided to share with you a list of best Time lapse apps that you can use to take remarkable time lapse with Android smartphone. So, let’s check out the list of best apps. 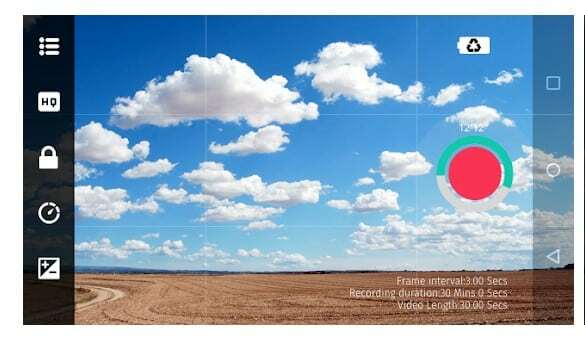 Well, if you are looking for a full feature Android app that allows users to create awesome time-lapse videos on Android, then Framelapse might be the perfect choice for you. Guess what? The app is really very fast, and it records clips in intervals to adjust the speed. 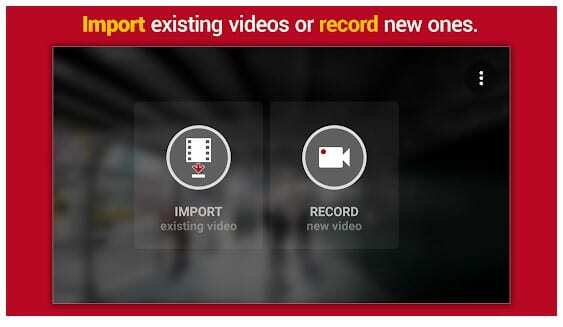 Apart from that, you can also set video duration beforehand. Talking about the other features, Framelapse allows users to adjust the color balance, exposure, white balance, etc. So, Framelapse is definitely the best Android timelapse app that every Android users would love to have. Lapse It is another popular Android app that is capable of recording awesome time-lapse and stop-motion videos. The great thing about Lapse It is its full-fledged camera app which is fast and full of features. The camera app of Lapse It offers some advanced settings like focus mode, scene mode, white balance, color balance, etc. Apart from that, users also get the option to choose the time interval after which each frame will be clicked. So, Lapse It is definitely the best time-lapse video app that you will love for sure. Microsoft Hyperlapse from Microsoft is another best photography app that you would love to use. It’s basically a simple time lapse app that allows users to shoot smooth and stable time-lapse videos. Apart from that, the app also allows users to choose from multiple speed options like you can select from 1x to 32x times the normal speed. Not just that, but you can also share your time lapses on social media platform directly. So, its an easy to use time-lapse app that you can use today. 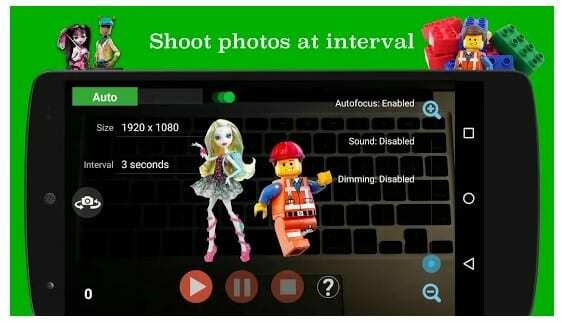 Well, if you are looking for an Android app that can record both time-lapse and stop-motion videos, then PicPac Stop Motion might be the best pick for you. The best thing about PicPac Stop Motion is that it provides users a full-fledged manual mode which you can control by voice commands. This is a pro camera app that offers lots of unique features and time-lapse is one of those. However, the free version shows the watermark. So, it’s another best app which you can use to create time-lapse videos. Time Lapse camera is the last one on the list which can create both video lapse and photo lapse. It’s one of the best and unique apps that you can use to create Timelapse. The best thing about Time Lapse camera is that it allows users to add audios or music files in the created video. The another best thing about Time Lapse camera is that it’s fully free and it doesn’t show any ads. Not just that, but the app doesn’t even put a watermark on the recorded video. So, Time Lapse camera is one of the best free time-lapse apps that you can use on your Android smartphone. 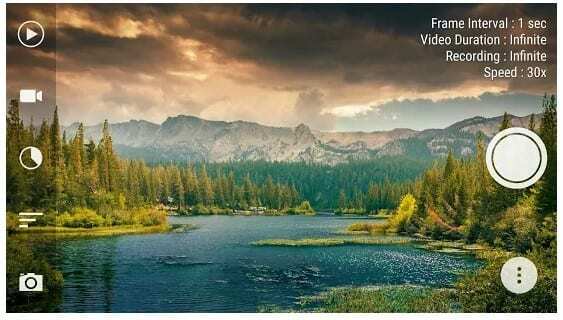 If you are looking for a professional video editing tool to capture and create time-lapse videos on Android, then Time Lapse Video Editor Pro might be the best pick for you. The great thing about Time Lapse Video Editor Pro is that it can speed up or slow down any previously recorded videos. So, Time Lapse Video Editor Pro is definitely the best Android time-lapse app that you can use today. If you are looking for a simple to use Timelapse apps for your Android smartphone, then SuperLapse might be the best pick for you. The great thing about SuperLapse is that it’s extremely simple to use and it allows users to create stunning high-quality time-lapse movies. Not just that, but Superlapse also offers users multiple resolutions to select from including 1080p. 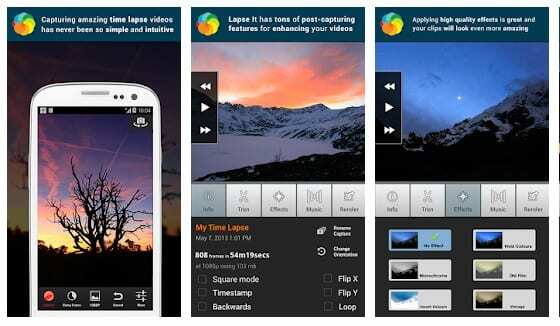 TimeLapse is another great Android app which allows users to create full-length time-lapse videos. The great thing about TimeLapse is that it offers users a few unique tools that can be really useful to create a stunning time-lapse. However, this is a new app which only a few knows about. So, TimeLapse is another best app to create stunning Timelapse. So, these are the 5 best time-lapse apps that you can use to take awesome time lapse with Android smartphone. So, what do you think about these apps? Share your views in the comment box below.